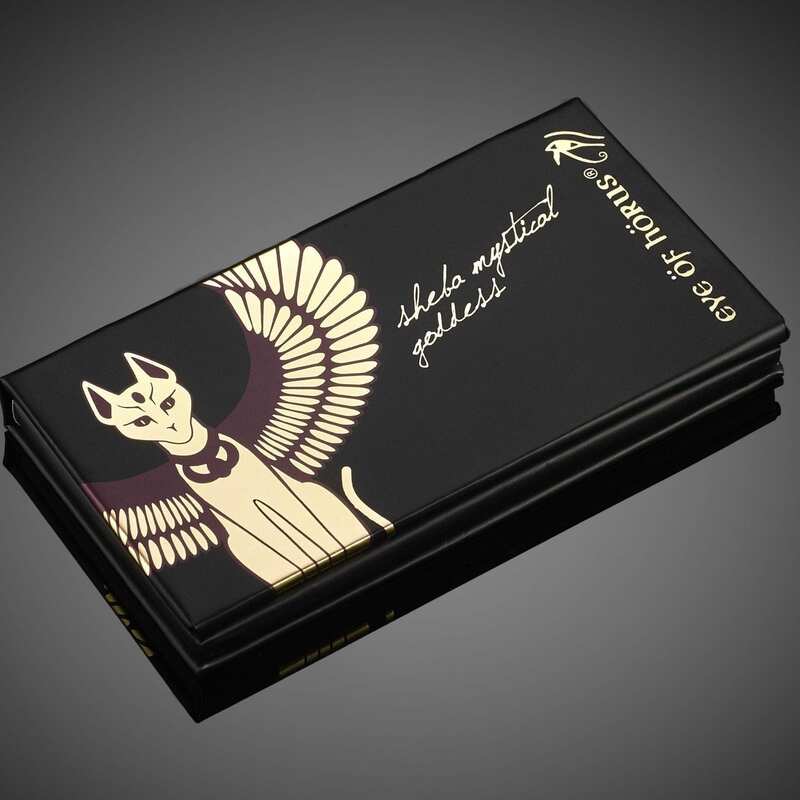 Eye of Horus Sheba Mystical Eyeshadow Palette is a fusion of deep mystical plum shades that reflect the moon and sun, designed specifically for the mystical Goddess. The essential trio shadow palettes are Italian baked in a stunning matte and metallic shades. 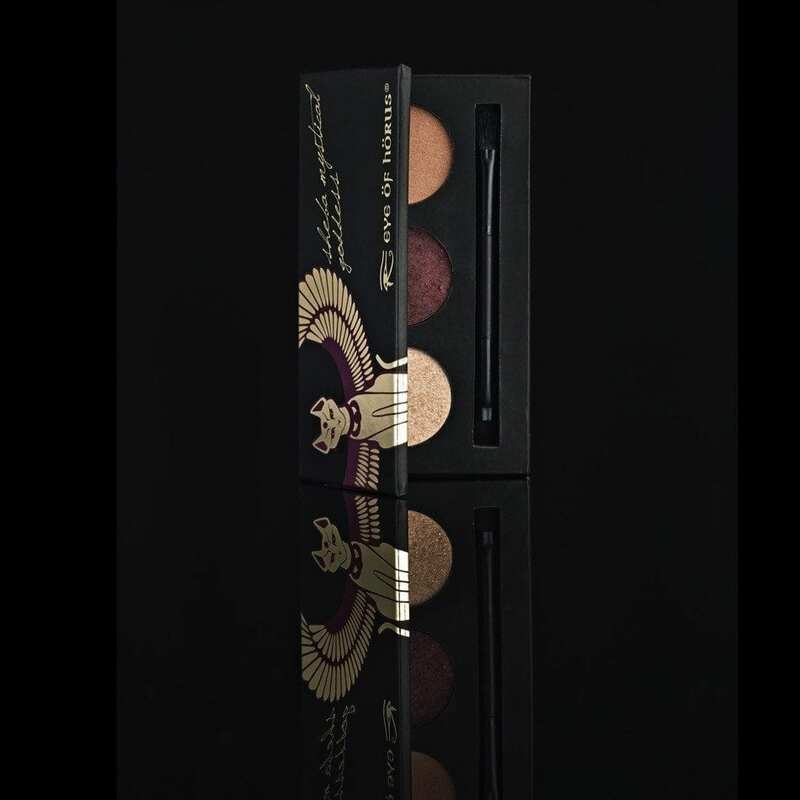 Deeply pigmented, long wearing crease-proof formula to deliver everyday brilliance. 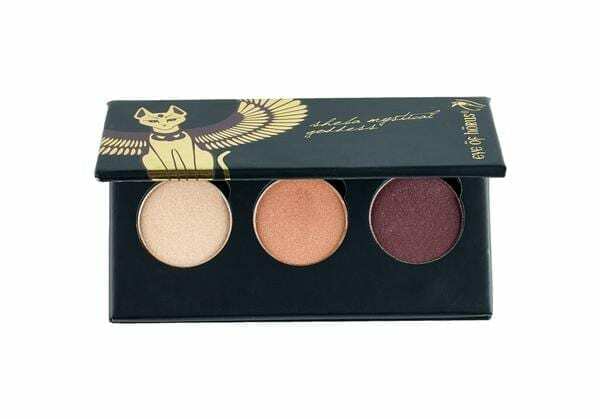 The Eye of Horus cosmetics baked Goddess shadow range can be used either dry, for a subtle day ware effect or wet for a full-intensity finish. When water-activated, shadow colours transform to be more intense and radiant if desired. These remarkable properties give the freedom to create any kind of look from simple to dramatic in seconds Paraben-Free and Vegan formula. Eye of Horus Sheba Mystical Eyeshadow Palette: Artifact – Creamy Beige Metallic (light), Enchantress Peach Matte (medium) & Royal Abyss Rich Deep Purple Metallic (dark).